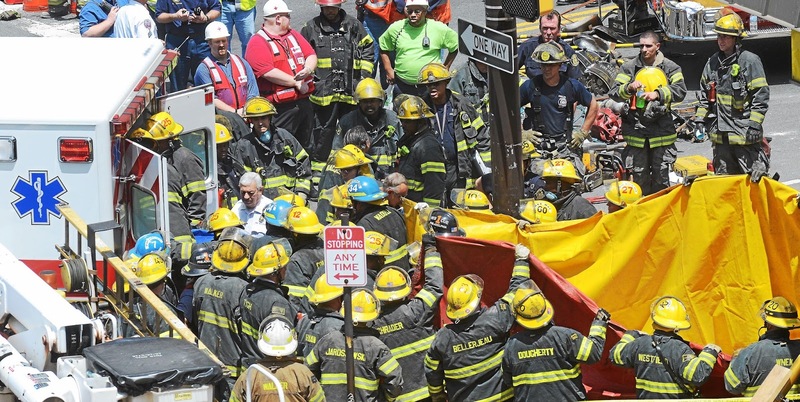 City Council has appointed a "special investigating committee" to hold public hearings on the June 5th collapse of a building on Market Street that killed six people, injured 14, and prompted an L&I inspector to commit suicide. A grand jury is investigating; numerous civil lawsuits have been filed. A heavy-equipment operator who had marijuana in his blood is being held on $1.5 million bail, on manslaughter charges. Meanwhile, the City Council committee investigating the tragedy is getting stonewalled by Philadelphia's reform mayor. Last month, Mayor Nutter banned current city officials from testifying before the council committee. So frustrated council members called on two former L&I Commissioners at Thursday's hearing to shed some light on the demolition job that turned fatal. The two commissioners came from different planets. Fran Burns, former L&I commissioner under Nutter, from 2008 to 2012, had to be dragged into council chambers after she was hit with a subpoena. Burns was audibly and visibly nervous as she talked in sleep-inducing banalities for 90 minutes. Councilwoman Cindy Bass asked the most pointed questions. She wanted to know why the focus at L&I had shifted from public safety to economic development. "I don't know where that notion comes from," Burns replied. "It's not true." Then she gave a speech about safety being a top priority at L&I that meant nothing to anybody. Bass took issue with Burns' view that L&I during her tenure had a 70 percent satisfaction rate. "If it's 70 percent, I must know the entire 30 percent that's not happy with L&I," the councilwoman cracked. Bass asked Burns what her thoughts were on the morning of the building collapse. Were you as a former L&I commissioner shocked and surprised that this tragedy happened, despite "all the controls you had left in place?" "I don't know," Burns stammered. "I had a lot of thoughts on what happened." But none she wanted to share. Bass persisted. "What is your reaction to what happened on Market Street?" she asked. "I don't know if that question matters," Burns replied. "I think it does matter," Bass said. The council committee was studying, "How did we get here? How can we move forward?" Bass said. "That's why you're here." But Burns wasn't going to bite. "You're asking something I don't feel comfortable speculating on," she said. Next it was Levin's turn. Levin, a retired 73-year-old engineer who lives in Bucks County, told the committee, "I thought I would fade off into the sunset." But he voluntarily agreed to testify "because someone has to speak for those who have died in this city as the result of building failures and the failure of the Department of Licenses and Inspections" as well as the agencies that oversee L&I. Levin described the Market Street collapse as "just the latest catastrophe in a tragic string of fatal events." Those catastrophes, he said, began with the fire at One Meridian Plaza in 1991 that killed three firefighters and continued with: an accident in 1997 where falling debris from a building previously cited by L&I as having a weakened facade killed a judge; the collapse of a Delaware River pier in 2000 that killed "three young women of achievement and great promise;" and a massive fire at an abandoned industrial building in Kensington last year that killed two firefighters. It all happened, Levin said, because City Hall is too tolerant of incompetence and corruption at L&I. "No right-thinking person would tolerate managing either the Police Department or the Fire Department in the manner in which L&I has been managed," Levin said. "Yet, L&I has equivalent public safety responsibilities to the Police Department and/or the Fire Department, but we tolerate and even accept sloth and unaccountability in the name of political expediency and 'economic development.'" Levin said the problem with L&I was "how the department is organized, how it is managed, and how its employees are trained." "What is expected from the Police Department and the Fire Department must be demanded from L&I," he said. "These fatal tragedies all point to the fact that L&I can no longer be a political backwater where money talks and people die. 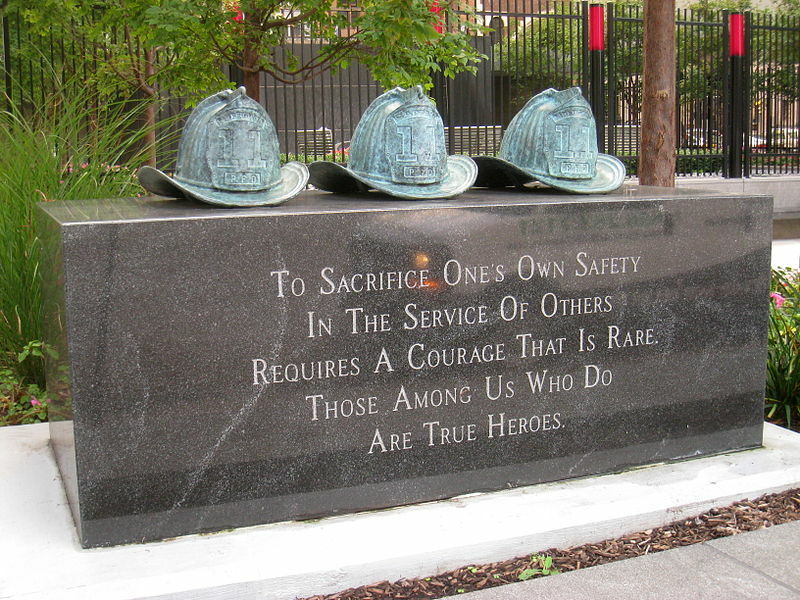 It must be recognized for its primary public safety responsiblities and nothing else must replace or supercede that focus." Prior to his stint as L&I commissioner, Levin served as a member of the Board of Building Standards for 20 years, finishing up as chairman. He described himself as an "often abused customer" of L&I who was an "eager candidate" when Rendell asked him to take over the department. So Levin gave up a $2 million a-year business for a job he didn't need because he wanted to join Rendell's campaign to reinvent city government. Two days before Levin took office, the Inquirer ran a cover story in its now-defunct Sunday magazine, under the headline, "The Little Fix," about L&I's history of corruption. The department had recently been the subject of two grand jury probes; one over the Meridian fire, the other over a sting operation resulting in multiple indictments of L&I inspectors. The department Levin took over had just gone through four commissioners in one year. Its employees were unprofessional, lacked self-esteem, and were "so paranoid they were dysfunctional," Levin said. The department's highest-paid employees treated the public with "disdain and arrogance." Levin said when he took over, the department's organizational chart had too many high-priced managers with "amorphous titles such as "code administrator III." The result was "a bloated bureaucracy" and a cadre of high-priced staff without defined functional skills," he said. L&I employed electrical inspectors who could pass a job placement exam but couldn't change a light bulb. During Levin's tenure as L&I commissioner, not only did morale and service improve, but so did revenues. Over a four-year period under Levin, annual revenues from the sale of permits and licenses doubled, from $16 million a year to $32 million a year. L&I under Levin also demolished 5,000 former crack houses and abandoned buildings. The biggest demo job was a block-long former clothing factory at 25th and Reed demolished at a cost of $1.2 million. Levin traced the decline at L&I to the "second term of former Mayor Rendell," under former L&I Commissioner Edward J. McLaughlin. The downward spiral that began under McLaughlin continued through succeeding administrations, Levin said. Levin said after he left office, McLaughlin, a career Philly cop, took over the department. Under Mayors Rendell and Street, McLaughlin turned L&I into a "mini-enforcement agency." McLaughlin also ran a campaign to make the department more "business-friendly." In Levin's eyes, both efforts were disasters. "Some of my successors have not been qualified to be L&I commissioner," Levin told council members. He was plainly talking about Ed McLaughlin. "L&I is not an 'economic development entity," Levin said. "L&I is not a revenue entity." It may have some of those responsibilities, he said, but "its primary function" is to govern public safety. a regular Democratic party contributor. In 1999, Caplan, president of Philadelphia Management, was seeking to refinance 15 high-rises and apartment buildings that had more than 100 fire code violations. To refinance, Caplan needed a clean bill of health from the city. So officials at L&I under McLaughlin closed out those 100 fire code violations in the department's computer system, without explanation, in violation of usual procedures, and apparently without making any required on-site re-inspections. I wrote about it for the Philadelphia City Paper. The closed-out violations included a 13-story building at 235 S. 15th St. that did not have standpipes. Standpipes are the vertical piping that supply water to every floor in the event of a fire. 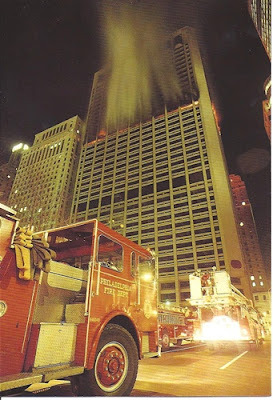 The standpipes at One Merdian Plaza was one of the key emergency systems that failed the day the three firefighters died. The lack of standpipes at 235 S. 15th St. was signed off by Commissioner McLaughlin "in the name of economic development," Levin told City Council. "Is it any wonder that the department has spiraled out of control in the intervening period of time? He [McLaughlin] was the commissioner who tried to mold L&I into an enforcement agency and is basically responsible for the genesis of the current organization chart," which Levin characterized as a return to the days of bloated bureaucracy. McLaughlin and Caplan had a chummy relationship. Caplan employed McLaughlin's son, who lived in a Caplan property. Ed McLaughlin also had previously lived in a Caplan property. McLaughlin was investigated by the city's inspector general, but he didn't do anything. While L&I under McLaughlin was doing favors for wealthy developers like Caplan, the department formed a nuisance task force. The task force, some of whom carried guns, were out storming homes and businesses in search of illegal activity and construction done without permits. The result was a bunch of civil rights lawsuits, including a 1999 decision in federal district court, Maffucci v. City of Philadelphia, that resulted in a $350,000 judgement against the city, plus $150,000 in legal fees. "Undaunted by the Constitution and Supreme Court precedent and undeterred by the City's own code, defendants steadfastly maintained their absolute right to proceed unchecked into plaintiff's home. Along the way, defendants complicated the injuries their conduct visited through a general disregard for the law, punctuated by a false verification and repeated misrepresentations to the courts." "In any rational jurisdiction, this behavior and its result would have cried for the removal of the commissioner and his deputies," Levin said of McLaughlin's reign as L&I commissioner. "But in Philadelphia, the story went unreported in the 'newspaper of record.' And, to add insult to injury, the same commissioner was then reappointed to the position by the new mayor [John Street] six months after this order was issued, over the objections of [Mayor Street's] transition team," of which Levin was a member. Levin said the Maffucci case was a waste of taxpayers' money. "At the time during which I served as Commissioner those funds would have been paid out of the department's demolition budget," Levin said. "$500,000 could have demolished 200 houses in 1999 dollars." Levin used to maintain a "Dirty Dozen" list of the most notorious buildings in town that needed to be demolished. If L&I had continued that demolition program, Levin said, the vacant building where the two firefighters died in Kensington last year would have been torn down. 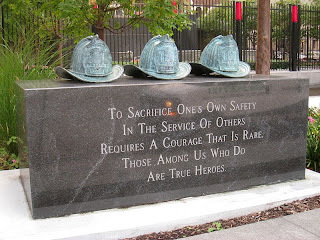 And two firefighters would be alive today. 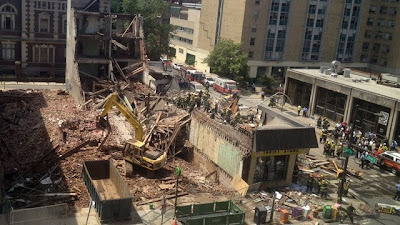 Long before the Market Street collapse, Levin said he asked his department's demolition unit to inspect all Center City properties owned by notorious slumlord Sam Rappaport. One of those properties owned by Rappaport was the building where the falling debris killed Judge Berel Caesar. "A voluminous file of violations were prepared and rather than submit them piecemeal through the enforcement process, a file was sent to the Law Department for an equity action as one single case because of the gravity of the matter," Levin told the City Council. Levin wanted the city to go after the slumlord. "Guess what?" he told the City Council committee. "To the best of my recollection, the case never came out of the Law Department. We often qupped that the Law Department was the 'dead letter office' of city government, and that the inspector general's office was the 'black hole' of government." In Philadelphia, Levin said, the guilty parties usually get away. He explained how this happened during the investigation of the Meridian fire in a 2000 memo that Levn brought with him to City Council chambers. In the memo, Levin said about two years prior to the Meridian fire, the owner of the building, the Rubin organization, applied to the Board of Building Standards for relief from requirements for proper standpipes. At the time, Levin was chairman of the Board of Building Standards. A hearing was held, and a variance was immediately granted by L&I "with the proviso that the entire building be provided with an automatic sprinkler system" to be installed over five years at One Meridian Plaza, Levin wrote. Before the fire, Levin saw a copy of a letter addressed to then L&I Commissioner Donald Kligerman from the Rubin organization. In the letter, "the Rubin organization disavowed the conditions of the variance and disavowed any knowledge of asking for the variance, even though they received copies of the letter authorizing the variance when the original hearing was held." Levin said as far as he knew, nobody at L&I ever responded to the letter. Two days before the fire, Levin wrote in his memo, he had a "heated conversation" with Kligerman about conditions at the Meridian building. And he warned Kligerman about a tragedy, Levin said. Two days after the fire, he got a call from Dave Wismer, then a deputy commissioner at L&I, "instructing me not to talk to the press," Levin wrote. A grand jury investigated, but Levin, to his own amazement, was never called as a witness. 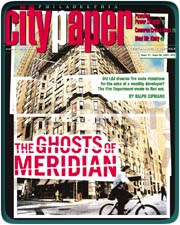 In other words, the city knew the Meridian building had inadequate safety measures in the event of a fire. That's why the city had required the owner to install sprinklers in the building on every floor. Then the owner backed out of the deal, nobody called him on it, and three firefighters died. And when a grand jury investigated, they missed it. soon promoted into positions of even greater responsibility, power and compensation." After Levin got through testifying, City Councilman Jim Kenney asked about Levin's former policy as L&I Commissioner of requiring every contractor who got a permit to have a valid business privilege license. "The things that I've complained about on a regular basis are the things they stopped doing that you did," Kenney said. If that requirement had still been in place, Kenney said, the contractor who did the demolition work on Market Street would not have gotten a permit, because the contractor owed back taxes. The demolition job "would have never been authorized because they weren't tax-compliant," Kenney lamented. After Levin was through testifying, the media descended. The most persistent questioner was reporter Bob Warner of the Inquirer. "You're awfully tall for an Inquirer reporter in the City Hall bureau," Levin cracked. He said that during his tenure as L&I commissioner, the Inky's City Hall reporters never wrote anything bad about Ed Rendell. They were too busy delivering pizzas to David L. Cohen, the mayor's chief of staff. "Reporters in the Inky City Hall bureau used to walk around on their knees," Levin joked. TV reporters found it difficult to boil Levin's lecture down to sound bites. "I can't deal with this," one TV reporter complained. "I've only got 45 seconds." So when the TV reporters asked Levin to simplify for the benefit of their viewers what happened on Market Street, Levin said, "A building fell down." "L&I now approaches that mission with a more qualified staff, improved technology, and streamlined process, all while continuing to work with the pubic as their partner in building safety. There will always be work to do as we continue to improve our processes throughout City government, but I am proud of what has been accomplished. We remain committed to providing the best level of service to all Philadelphians. -- Mayor Michael A. Nutter." "He obviously didn't read my testimony to see that I didn't say anything bad about him or his administration," Levin responded. "There was nothing in my testimony that slandered anybody working in the department, or criticized the current commissioner. But apparently I hit a raw nerve." Actually, when he testified, Levin singled out several current members of the department for praise and said he wasn't there to say anything negative about the current L&I Commissioner. City employees in attendance loved what Levin had to say. One retired L&I building inspector emailed Levin a two-word message, "Thank You." "This guy is thin-skinned," Levin said of Nutter. "This is a problem that started way before his watch." 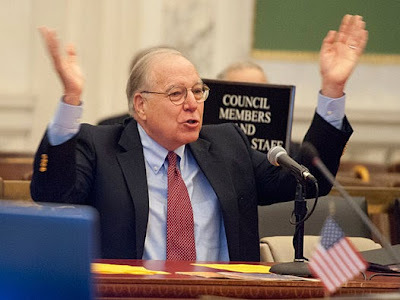 As opposed to the outspoken Levin, who drove Mayor Rendell and David L. Cohen crazy, Mayor Nutter prefers an L&I Commissioner like Fran Burns. Somebody who knows nothing and says nothing. And when they're hauled before the public and finally asked to be accountable, they act like they're afraid of their own shadow. I'll take Levin any day. If we had more outspoken officials like Levin -- and fewer reform mayors like Nutter who want to button everything up -- maybe we wouldn't have as many dead bodies around to feel guilty about. This is much larger than just another "Philadelphia Story". At one time, Public Service was seen as an honorable calling, and it was professed that leadership is to be practiced with honor, foresight, courage and grace. On occasion, we actually had the service of such leaders. As common roaches scatter to hide from a flashlight's beam, so too, will today's collection of narcissistic, lazy and thieving weasels. For any American (whether identifying right, left, or otherwise) who truly believes he or she is entitled to EFFECTIVE government, this story should be considered "required reading". Levin should run for mayor. He's a Republican and would be a much better candidate than the bag lady they ran last time. Time to get off your knees, Philadelphia Republicans, and fight for a change.